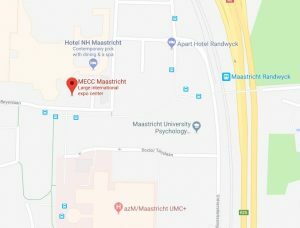 In close consultation with the EACTS, MECC Hotel Services has taken options in different hotels in Maastricht and surroundings at very competitive rates. There are no extra costs, NO reservation costs. If you want to reserve 9 rooms or more, or if you do not want to reserve your room online, you can email us hotelservices@mecc.nl. MECC Hotelservices can also assist you in making arrangements for transportation, partner programmes and flights. For more information on our services, go to our website at www.mecc.nl/hotelservices or send us an e-mail at mhs@mecc.nl or telephone number +31 43 3838361.